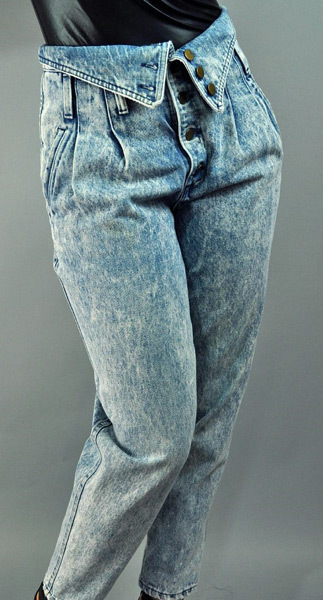 Not the most flattering look for us short girls, fold over jeans had pleats, several extra decorative brass buttons and button holes, and from what I remember they were almost always done in acid wash. I remember buying the jeans at “The Limited Express” before Express broke off and became its own store. 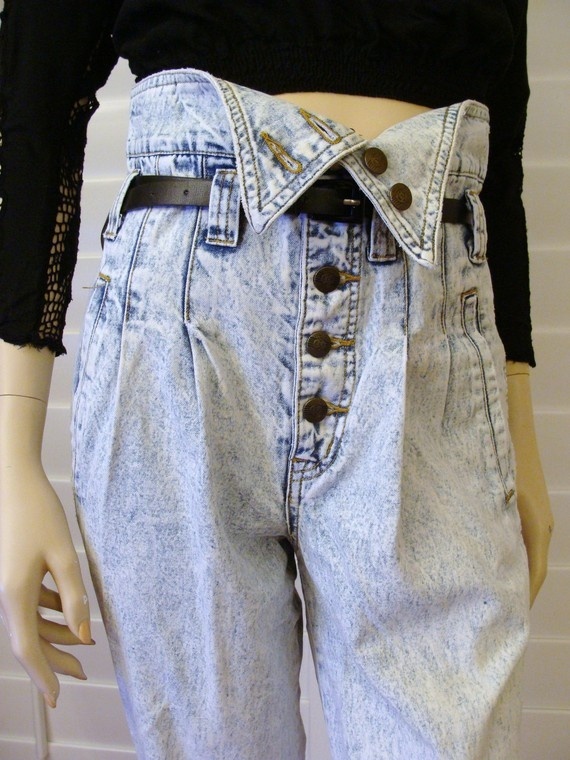 ALL of the girls in eleventh grade were wearing these things. 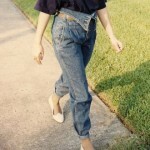 On the tall, skinny girls it was an interesting look but call me crazy, I sure didn’t need all of that extra, bulky denim laying around my midsection. I topped off my folded over jean look with a giant brown belt a boyfriend had given me –the clasp was shaped like a clock face. Because on top off all that extra material I needed a big clock face belt. 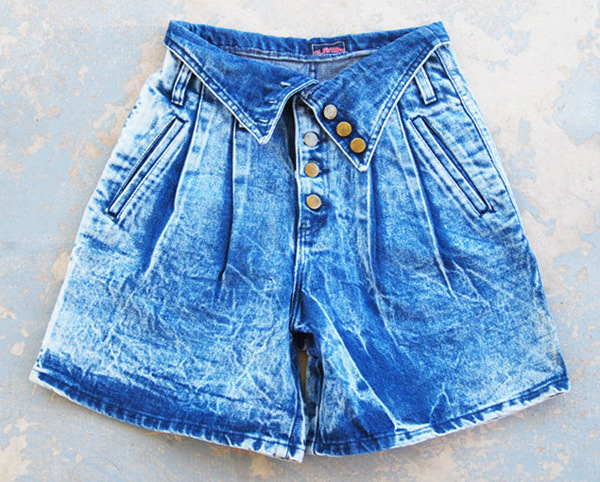 You could not walk by Limited Express, Rave, Lerner New York or Contempo Casuals without seeing a window full of mannequins wearing all this stylish denim on their bottom halves. I remember pairing my jeans with a big bulky Forenza brand sweater or an Outback Red turtleneck and wearing scrunchy socks and shiny, black patent leather lace up shoes. Oh yeah, and that awesome, totally unnecessary BELT. Thankfully the fad didn’t seem to last too long, maybe like one school year? 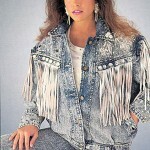 In retrospect I’m grateful but at the time I along with every other girl, could not get enough of this dynamite denim look. Wow! I can’t tell you how much I appreciate this site! I was an aerobics instructor (Jane Fonda-feel-the-burn) back in the 80’s & 90’s, and of course I rocked all those looks! I was in my late 20’s in the mid 80’s and I thought it was the coolest time ever. I drove a Trans Am, listened to Prince, Def Leopard and the Scorpions. I still re-live those days… Thanks a million for the memories, Lori.